PennsylvAsia: "Everyday Noodles" coming to Squirrel Hill. 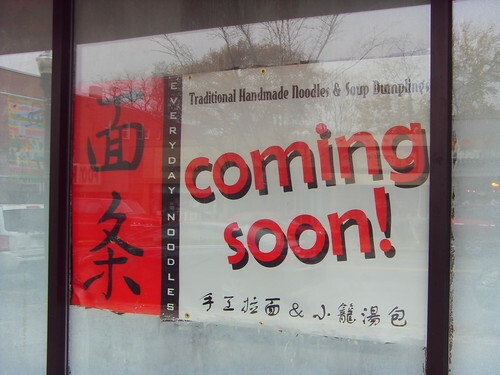 The six other Asian restaurants on Forbes Avenue in Squirrel Hill will face some competition when "Everyday Noodles" opens, which advertises "Traditional Handmade Noodles and Soup Dumplings". 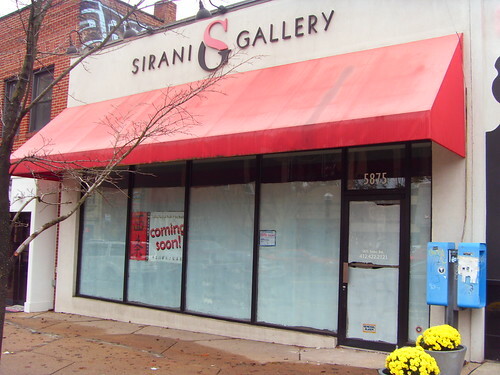 It's on 5875 Forbes Ave. (map) and will occupy what was most recently Sirani Gallery. It's across the street from Rose Tea Cafe, and nearly across from Sakura, How Lee, and the Ramen Bar opening shortly. Speaking of Ramen Bar, I'll hopefully have an update soon. The paper is off the windows, staff have been in at nights, and there is a large mural of a Tokyo street scene on one wall.